Rusty Reno tackles the question of where to begin when considering our life in God in his First Things essay, “In The Beginning.” Reno provokes me to ask a few questions. Where do we begin, when, why and for what purpose? What is our destiny, in other words? Where do our loyalties exist? Are we wedded too much to our ideas? That is, are we blinded to a particular theological lens and biblical interpretation that when truth is presented we pass it by because we are too comfortable in our belief system? If we are rigidly following what we think is right versus wrong will we ever advance in wisdom, grace and love? AND the problem is thus exposed: who’s wisdom, grace and love are living in? God’s or ours? What place does Torah and the Gospel have in our lives? Do we follow a political personality or Jesus, the Savior? I am presenting excerpts of a lecture delivered by Russian Orthodox Bishop Hilarion Alfeyev at the Wycliffe College, University of Toronto, October 21, 2008. This work was made known to me by a friend, Paulist Father Ron Roberson heads the Orthodox desk for the US Bishops ecumenical office in Washington, DC. The emphasis I added to the lecture are the ideas that are striking deserve greater attention by us. The keys are “personal encounter,” and the lex orandi tradition and being conscious of the great divorce of faith and reason. Thanks for your patience. According to a classical definition by Evagrius, ‘If you are a theologian, you will pray truly. And if you pray truly, you are a theologian’. 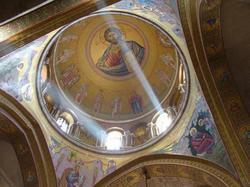 In traditional Orthodox understanding, theology is not a science, or a scholarship, or an academic exercise. To be a theologian means to have experience of a personal encounter with God through prayer and worship. Theology ought to be inspired by God: it ought not to be the word of a human person, but the word of the Spirit pronounced by human lips. A true Christian theologian is one who is able to be silent until the Holy Spirit touches the strings of his soul. And it is only when the human word falls silent and the word of the Spirit emerges from his soul, that true theology is born. From this moment ‘a lover of words’ is transformed into ‘a lover of wisdom’, a rhetorician into a theologian. According to St Gregory Nazianzen, not everyone can be a theologian, but only the one who purifies himself for God. Not all can participate in theological discussions, but only those who are able to do it properly. Finally, not every theological concern can be discussed openly. Discussion of theology is not for everyone, I tell you, not for everyone – it is not such inexpensive and effortless pursuit… It must be reserved for certain occasions, for certain audiences, and certain limits must be observed. It is not for all men, but only for those who have been tested and have found a sound footing in study, and, more importantly, have undergone, or at the very least are undergoing, purification of body and soul. 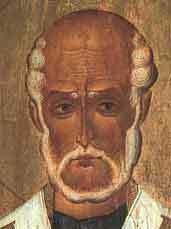 Theology, according to St Gregory, is nothing other than the ascent to God. Gregory uses the traditional image of Moses on Mount Sinai to emphasize that the true theologian is only someone who is able to enter the cloud and encounter God face to face. In this multi-dimensional, allegorical picture Moses symbolizes the person whose theology emerges from the experience of an encounter with God. Aaron represents someone whose theology is based on what he heard from others; Nadab and Abihu typify those who claim to be theologians because of their high position in the church hierarchy. But neither acquaintance with the experience of others nor an ecclesiastical rank gives one the right to declare oneself a theologian. Those Christians who purify themselves according to God’s commandments may take part in a theological discussion; the non-purified ought not. Thus, purification of soul is a necessary precondition for practicing theology. Its central point is summed up in the following dictum: ‘Is speaking about God a great thing? But greater still is to purify oneself for God’. Here, purification (katharsis) is not opposed to theology: rather, theology is that ascent to the peak of Mount Sinai which is impossible without purification. What is required for practicing theology is not so much intellectual effort, neither external erudition, nor wide reading, but first of all humility and modesty. According to Gregory, humility is not to be found in someone’s external appearance, which may often be deceitful, and perhaps not even in how someone is related to other people, but in his attitude to God. The humble, in Gregory’s judgment, is not he who speaks but little about himself, or who speaks in the presence of a few but rarely; not he who ‘speaks about God with moderation, who knows what to say and what to pass over in silence’. In other words, everyone can be a good Christian, but not everyone is able to investigate the depths of doctrine, where many things should be covered by an apophatic silence. Everyone can contemplate on matters of theology, but not everyone can be initiated into its mysteries. All Christians must purify themselves for God: the more a person is purified, the more discernible are the words of the Spirit in his mouth. True theology is born out of a silent and humble standing before God rather than out of speculations on theological matters. We can see that this understanding is radically different from what we normally mean by ‘theology’. One of the tragic consequences of the divorce between Christian theory and praxis, between faith and knowledge, is that nowadays knowledge about theological subjects does not necessarily presuppose faith. You can be a theologian and not belong to any church community; in principle, you do not need to believe in God to receive a theological degree. Theology is reduced to one of the subjects of human knowledge alongside with chemistry, mathematics or biology. Another divorce which needs to be mentioned is that between theology and liturgy. For an Orthodox theologian, liturgical texts are not simply the works of outstanding theologians and poets, but also the fruits of the prayerful experience of those who have attained sanctity and theosis. The theological authority of liturgical texts is, in my opinion, higher than that of the works of the Fathers of the Church, for not everything in the works of the latter is of equal theological value and not everything has been accepted by the fullness of the Church. Liturgical texts, on the contrary, have been accepted by the whole Church as a ‘rule of faith’ (kanon pisteos), for they have been read and sung everywhere in Orthodox churches over many centuries. Throughout this time, any erroneous ideas foreign to Orthodoxy that might have crept in either through misunderstanding or oversight were eliminated by church Tradition itself, leaving only pure and authoritative doctrine clothed by the poetic forms of the Church’s hymns. 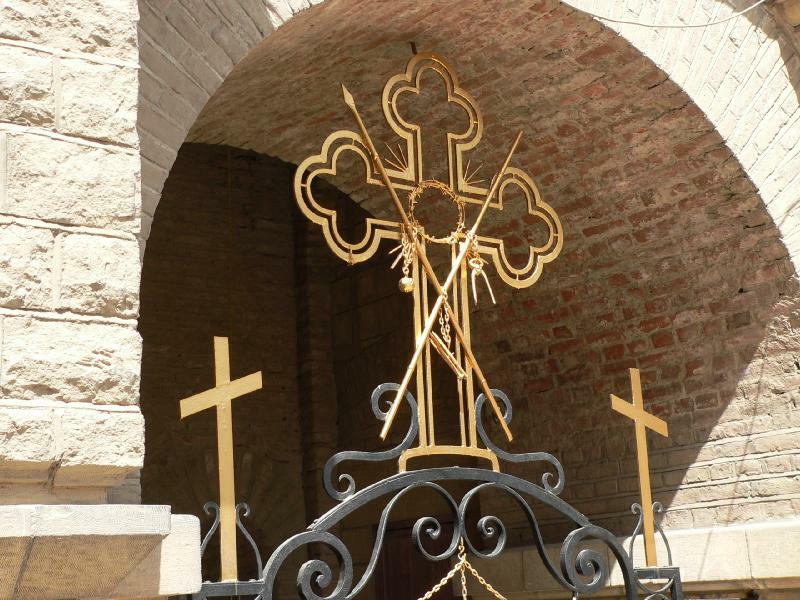 Several years ago I came across a short article in a journal of the Coptic Church where it stated that this Church had decided to remove prayers for those detained in hell from its service books, since these prayers ‘contradict Orthodox teaching.’ Puzzled by this article, I decided to ask a representative of the Coptic Church about the reasons for this move. When such opportunity occurred, I raised this question before one Coptic metropolitan, who replied that the decision was made by his Synod because, according to their official doctrine, no prayers can help those in hell. I told the metropolitan that in the liturgical practice of the Russian Orthodox Church and other local Orthodox Churches there are prayers for those detained in hell, and that we believe in their saving power. This surprised the metropolitan, and he promised to study this question in more detail. During this conversation with the metropolitan I expressed my thoughts on how one could go very far and even lose important doctrinal teachings in the pursuit of correcting liturgical texts. Orthodox liturgical texts are important because of their ability to give exact criteria of theological truth, and one must always confirm theology using liturgical texts as a guideline, and not the other way round. The lex credendi grows out of the lex orandi, and dogmas are considered divinely revealed because they are born in the life of prayer and revealed to the Church through its divine services. Thus, if there are divergences in the understanding of a dogma between a certain theological authority and liturgical texts, I would be inclined to give preference to the latter. And if a textbook of dogmatic theology contains views different from those found in liturgical texts, it is the textbook, not the liturgical texts, that need correction. Even more inadmissible, from my point of view, is the correction of liturgical texts in line with contemporary norms. Relatively recently the Roman Catholic Church decided to remove the so-called ‘antisemitic’ texts from the service of Holy Friday. Several members of the Orthodox Church have begun to propagate the idea of revising Orthodox services in order to bring them closer to contemporary standards of political correctness. For example, the late Archpriest Serge Hackel from England, an active participant in the Jewish-Christian dialogue, proposed the removal of all texts from the Holy Week services that speak of the guilt of the Jews in the death of Christ (cf. his article “How Western Theology after Auschwitz Corresponds to the Consciousness and Services of the Russian Orthodox Church,” in Theology after Auschwitz and its Relation to Theology after the Gulag: Consequences and Conclusions, Saint Petersburg, 1999; in Russian). He also maintains that only a ‘superficial and selective’ reading of the New Testament brings the reader to the conclusion that the Jews crucified Christ. In reality, he argues, it was Pontius Pilate and the Roman administration who are chiefly responsible for Jesus’ condemnation and crucifixion. This is just one of innumerable examples of how a distortion of the lex credendi inevitably leads to ‘corrections’ in the lex orandi, and vice versa. This is not only a question of revising liturgical tradition, but also a re-examination of Christian history and doctrine. The main theme of all four Gospels is the conflict between Christ and the Jews, who in the end demanded the death penalty for Jesus. There was no conflict between Christ and the Roman administration, the latter being involved only because the Jews did not have the right to carry out a death penalty. It seems that all of this is so obvious that it does not need any explanation. This is exactly how the ancient Church understood the Gospel story, and this is the understanding that is reflected in liturgical texts. However, contemporary rules of ‘political correctness’ demand another interpretation in order to bring not only the Church’s services, but also the Christian faith itself in line with modern trends. The Orthodox Tradition possesses a sufficient number of ‘defense mechanisms’ that prevent foreign elements from penetrating into its liturgical practice. I have in mind those mechanisms that were set in motion when erroneous or heretical opinions were introduced into the liturgical texts under the pretext of revision. 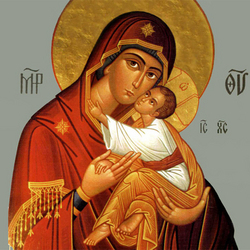 One may recall how Nestorianism began with the suggestion to replace the widely-used term Theotokos (Mother of God) with Christotokos (Mother of Christ), the latter was seen as more appropriate by Nestorius. When this suggestion was made, one of the defense mechanisms was activated: the Orthodox people were indignant and protested. Later, another mechanism was put into operation when theologians met to discuss the problem. Finally, an Ecumenical Council was convened. Thus, it turned out that a dangerous Christological heresy, lurking under the guise of a seemingly harmless liturgical introduction, was later condemned by a Council. To rediscover the link between theology, liturgy and praxis, between lex orandi, lex credendi and lex Vivendi would be one of the urgent tasks of theological education in the 21st century. The whole notion of a ‘theology’ as exclusively bookish knowledge must be put into question. The whole idea of a ‘theological faculty’ as one of many other faculties of a secular university needs to be re-examined. The notions of ‘nonconfessional’, ‘unbiased’, ‘objective’ or ‘inclusive’ theology as opposed to ‘confessional’ or ‘exclusive’ must be reconsidered. He entered the Monastery of the Holy Spirit in Vilnius, Lithuania, where he was tonsured as a monk, ordained a deacon and a ordained priest in 1987. His bishop assigned him to serve as parish priest in Lithuania, including two years as dean of Annunciation Cathedral in Kaunas. 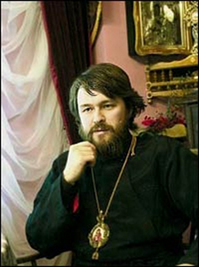 From 1995 to 2001 Hilarion Alfeyev served as Secretary for Inter-Christian Affairs of the Department for External Church Relations of the Moscow Patriarchate. He also taught part time at Smolensk and Kaluga Theological Seminaries (Russia), at St Vladimir’s and St Herman’s Theological Seminaries (USA) and at Cambridge University (UK). On 27 December 2001, Alfeyev was elected a bishop and consecrated by His Holiness Alexy II, Patriarch of Moscow and all Russia in January 2002. The Patriarch assigned him to serve as an Assistant Bishop in the Diocese of Sourozh in Great Britain until the Holy Synod decided, only a few months later, that he was to be nominated as Head of the Representation of the Russian Orthodox Church to the European Institutions in Brussels. Since May 2003 he has served as Bishop of Vienna and Austria, administrator of the Diocese of Budapest and Hungary, in addition to his position in Brussels, which he continues to hold. 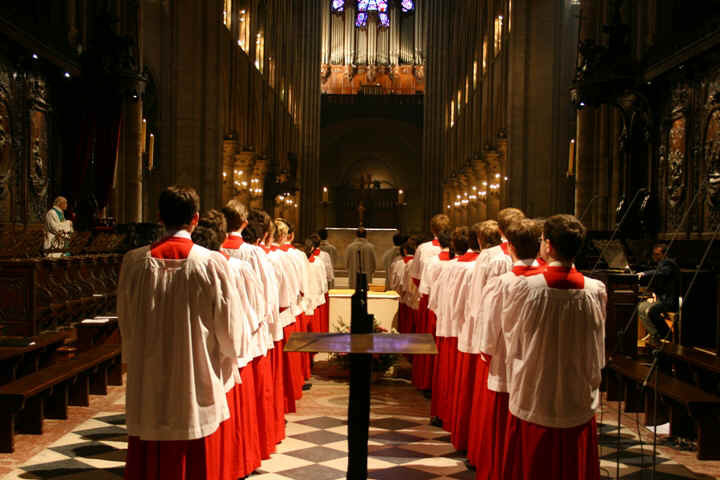 Bishop Hilarion has authored numerous musical compositions including “St Matthew Passion,” grand oratorio for soloists, choir and orchestra, with performances at the Great Hall of Moscow Concervatory, the Auditorium Conciliazione, Rome and at St Patrick’s Cathedral, Melbourne. Equally well received was his 2008 “Christmas Oratorio,” performed in Washington, Boston and New York and later in Moscow. work. You can get more information by visiting the conference website or by email: evolution@unigre.it. The Rome conference looks very promising with top professors collaborating in evaluating this famous work. The conference is sponsored by the Pontifical Gregorian University in colloaboration with University of Notre Dame, and with the high patronage of the Pontifical Council for Culture with a grant of monies from the Templeton Foundation and the Associazione Scienza e Fede. The more we take our own selves and our actions seriously, the more we perceive the mysteriousness and also the urgency of these questions, the fact that we cannot really avoid them’, they are necessarily at the root of everything we do. This is because it is the nature of the human being to expect something, to look for fulfillment in everything he does. And where is the limit to this desire to be fulfilled? There is no limit. It is unlimited. Every achievement, every possession opens up on a further possibility, a depth that remains to be explored, a sense of incompleteness, a yearning for more. We are like hikers in the mountains (an analogy Giussani is fond of): we see a peak and we climb to the top. When we arrive there, we have a new view, and in the distance we see a higher peak promising a still greater vista. There are a couple of points about this striking poetic excerpt that are worth mentioning as illustrative of central themes in Giussani. The first point is this: note that the shepherd’s questions are so poignantly expressed “from the heart” (Musing, I say within me). They are “personal” questions we might say; that is, they are questions that seem deeply important to the shepherd’s own life, that emerge from the shepherd’s solitude as he watches the flocks by night and gazes at the moon. And yet, the questions themselves are really “philosophical” questions: “metaphysical” questions which ask about the relationship of the universe to its mysterious Source, and “anthropological” questions about the nature of the world, of man, of the self. Let us note these things only to emphasize that Giussani’s evaluation of the dynamic of the human heart is not exclusively concerned with the pursuit of external objects and the way in which these objects lead “beyond” themselves the acting person who engages them. Giussani stresses that the need for truth is inscribed on the human heart; the need to see the meaning of things is fundamental to man. Hence the “objectivity” required for addressing philosophical and scientific questions does not imply that these questions are detached from the “heart” of the person who deals with them. When the scientist scans that infinite, calm sky and that vast solitude with his telescope, he must record what he sees, not what he wishes he would have seen. In this sense, he must be “objective,” and his questions and methodology must be detached from his own particular interests. But what puts him behind that telescope in the first place is his own personal need for truth and this need grows and articulates itself more and more as questions emerge in the light of his discoveries. All of this could be applied by analogy to the researches carried out by a true philosopher. The second point is this: Leopardi’s poem conveys with imaginative force the inexhaustibility of human desire and the questions through which it is expressed, or at least tends to be expressed insofar as man is willing to live in a way that is true to himself (several chapters of Giussani’s book are devoted to the various ways in which man is capable of distracting himself or ignoring the dynamic of the religious sense, or anesthetizing himself against its felt urgency). Even more importantly, he indicates that the unlimited character of man’s most fundamental questions points toward an Infinite Mystery, a mystery that man continually stands in front of with fascination and existential hunger but also with questions, because he is ultimately unable by his own power to unveil its secrets. The experience of life teaches man, if he is willing to pay attention to it, that what he is truly seeking, in every circumstance is the unfathomable mystery which alone corresponds to the depths of his soul. Offer to man anything less than the Infinite and you will frustrate him, whether he admits it or not. 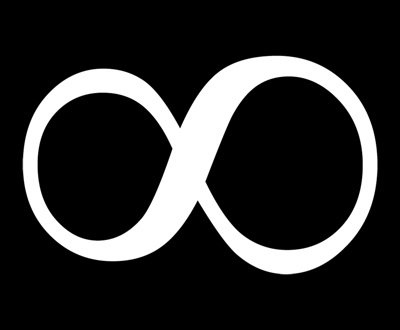 Yet at the same time man is not able to grasp the Infinite by his own power. Man’s power is limited, and anything it attains it finitizes, reducing it to the measure of itself. The desire of man as a person, however, is unlimited, which means that man does not have the power to completely satisfy himself; anything that he makes is going to be less than the Infinite. power. Yet, in spite of this incapacity, in spite of the fact that the mystery of life–the mystery of happiness–seems always one step beyond us, our natural inclination is not one of despair, but rather one of dogged persistence and constant hope. Giussani insists that this hope and expectation is what most profoundly shapes the self; when I say the word “I,” I express this center of hope and expectation of infinite perfection and happiness that is coextensive with myself, that “is” myself, my heart. And when I say the word “you,” truly and with love, then I am acknowledging that same undying hope that shapes your self. with hope– because the circumstances and events of life contain a promise, they whisper continually that happiness is possible. This is what gives the human spirit the strength to carry on even in the midst of the greatest difficulties. Let us note two further points. First of all: I cannot answer the ultimate questions about the meaning of my life, and yet every fiber of my being seeks that answer and expects it. There must be Another who does correspond to my heart, who can fill the need that I am. To deny the possibility of an answer is to uproot the very foundation of the human being and to render everything meaningless. As Macbeth says, it would be as if life is “a tale told by an idiot, full of sound and fury, signifying nothing.” There must be an answer; and a human being cannot live without seeking that answer. Giussani says that a human being cannot live five minutes without affirming something, consciously or unconsciously, that makes those five minutes worthwhile. This is the basic structure of human reason at its root. “Just as an eye, upon opening, discovers shapes and colors, so human reason–by engaging the problems and interests of life–seeks and affirms some ultimate” value and significance which gives meaning to everything. But if we are honest, if we realize that we cannot fulfill ourselves, if we face the fact that the answer to the question of the meaning of life is not something we can discover among our possessions, or measure or dominate or make with our own hands, then we begin to recognize that our need for happiness points to Someone Else, to an Infinite Someone who alone can give us what we seek. Second: this longing of my heart, this seeking of the Infinite is not something I made up or chose for myself. It is not my idea or my project or my particular quirk. It corresponds to the way I am, to the way I “find myself independent of any of my personal preferences or decisions. It is at the root of me. It is at the root of every person. It is in fact given to me, and to every person–this desire for the Mystery that is at the origin of everything that I am and do. In the depths of my own self there is this hidden, insatiable hunger and thirst, this “heart that says of You, ‘seek His face! '” (Psalm 27:8), this need for an Other that suggests His presence at the origin of my being. He gives me my being; He is “nearer to me than I am to myself as St. Augustine says. And He has made me for Himself, He has placed within each of us a desire that goes through all the world in search of signs of His presence. In the depths of our being, we are not alone. We are made by Another and for Another. “You have made us for Yourself, O Lord, and our hearts are restless until they rest in You,” says St. Augustine. St. Thomas Aquinas says that God is happiness by His Essence, and we are called to participate in His happiness by being united to Him who is Infinite Goodness. We are made for happiness. By our very nature we seek happiness. To be religious, then, is to recognize that God alone can make us happy. It is to recognize the mysterious existential reflection of God’s infinite truth, goodness, and beauty that radiates from every creature, that lights up the circumstances of our lives, and calls out to us through all the opportunities that life presents to us. In this sketch of Giussani’s understanding of what he calls “the religious sense,” we can see the profound reflections that underlie his great apostolate: his effort to teach his students that religion cannot be relegated to the fringes of life. 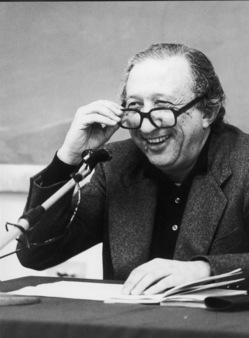 Giussani insisted to his students that religion was not to be simply delineated as one aspect of life: a comfort for our sentiments, a list of ethical rules, a foundation for the stability of human social life (even though it entails such things as various consequences that follow from what it is in itself). Rather, the realm of the religious is coextensive with our happiness. The proper position of the human being is to live each moment asking for God to give him the happiness he seeks but cannot attain by his own power. Asking for true happiness–this is the true position of man in front of everything. Giussani often points out that “structurally” (that is, by nature), man is a “beggar” in front of the mystery of Being. This brings us to the final chapters of The Religious Sense, in which Giussani analyses the dramatic character of this truth about man, both in terms of the very nature of this position of “being a beggar” and in terms of how this truth has played itself out in the great drama of human history. We could all too easily allow ourselves to be lulled to sleep by all of this lovely language about desiring the Infinite Mystery, and end up missing the point. The image of the beggar ought not to be romanticized in our imaginations. Generally people don’t like to be beggars, and they don’t have much respect for beggars. We should be able to attain what we need by our own efforts; is this not a basic aspect of man’s sense of his own dignity? And yet the very thing we need most is something that we do not have the power to attain, something we must beg for. This is the true human position, and yet it is not as easy to swallow as it may at first appear. We are beggars in front of our own destiny because the Infinite One for whom our hearts have been made is always beyond the things of this world that point toward Him but do not allow us to extract His fullness from them by our own power. 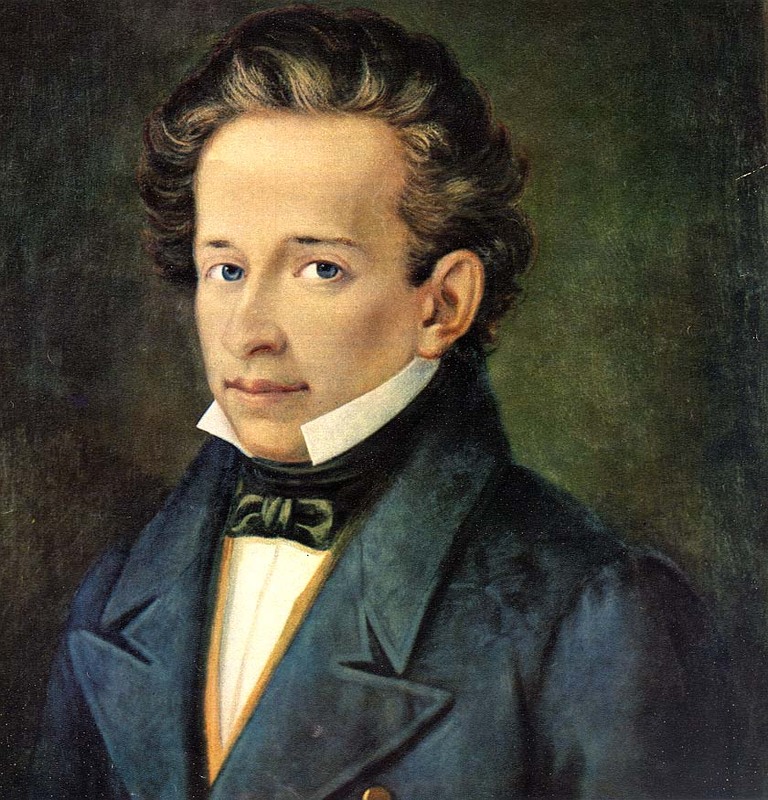 This fact causes a great tension in the experience of the human person–a “vertigo,” a dizziness, Giussani calls it –and there results the inevitable temptation to shrink the scope of our destiny, to attempt to be satisfied with something within our power, something we are capable of controlling and manipulating. This, says Giussani, is the essence of idolatry. Instead of allowing ourselves to be “aimed” by the beauty of things toward a position of poverty and begging in front of the Beauty who is “ever beyond” them, the Mystery of Infinite Splendor who sustains them all–who holds them in the palm of his hand–we try instead to grasp these finite things and make them the answer to our need for the Infinite. This great tension at the heart of man’s religious sense– and the historical tragedy of man’s failure to live truly according the historical tragedy of man’s failure to live truly according to the religious sense–generates within the heart of man the longing for salvation. Corresponding to this longing, Giussani says, is the recognition of the possibility of revelation. Might not the Infinite Mystery make Himself manifest in history, create a way within history for me to reach Him? Might not the Infinite Mystery who constitutes my happiness approach me, condescend to my weakness, guide my steps toward Him? This possibility–the possibility of Divine Revelation–is profoundly “congenial” to the human person, because man feels profoundly his need for “help” in achieving his mysterious destiny. The Religious Sense concludes on this note: the possibility of revelation. Here the ground is laid for the second book in what might be called Giussani’s catechesis of Christian anthropology: The Origin of the Christian Claim. In this book, Giussani will propose that Christ is the revelation of God in history, the Mystery drawn close to man’s life–walking alongside the human person. Christ is the great Divine help to the human person on the path to true happiness.